Following the on-going invasion of the National Assembly complex by men of the Department of State Services (DSS) in which legislators and members of staff, including the Clerk of the National Assembly, Alhaji Mohammed Sani Omolori, who is the administrative head of the Federal legislature, were harassed and prevented from accessing their offices, Senate President, Dr. Abubakar Bukola Saraki and Speaker, House of Representatives, Rt. Hon. 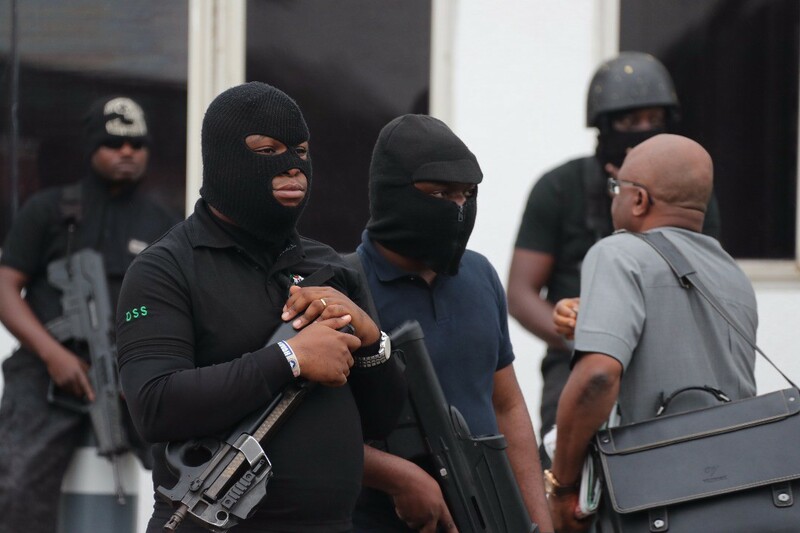 Yakubu Dogara have condemned the action of the security agents and described it as another attempt to subevert the nation’s democracy. The Senate President and Speaker further noted that today was a sad day for democracy as very early in the morning, they got reports backed by video and pictures, from members of staff of the National Assembly, their colleagues from both chambers and other individuals, about the heavy presence of the security personnel who insisted that nobody would enter the complex except certain Senators who were to be conveyed into the complex in a Coaster bus. “We also thank members of the press, local and international, and all Nigerians whose support for the cause of democracy have sustained us this far. Following this unpleasant development, the joint leadership meeting slated for this afternoon has been postponed till further notice because under the prevailing circumstances, we cannot guarantee the safety of the 20 members from both chambers expected at the meeting”, Saraki and Dogara stated.